This week I’ve had 3 new clients starting and also been working with my current clients. Like all of us, these wonderful women have their own Inner Critics. The harsh, negative words the critic uses, and the situations in which it speaks up, may be different but, the result is the same. It holds them back and stops them from being authentic. 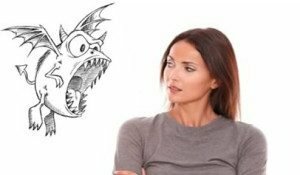 Psychologists Jay Earley, Ph.D., and Bonnie Weiss, LCSW, believe that there are 7 types of Inner Critic. Do you recognise yourself in any of them? This inner critic is a hard and shaming voice focused on controlling your impulses. Your impulses can range from anything to do with your eating or drinking or your working hours. The fear for this inner critic is that you could lose control at any moment, so it shames you into controlling your own behaviour so that you can come across as a “good” person. This Taskmaster is determined to make you work as hard as possible. Success at all costs is the goal. This inner critic voice will become very critical if you slow down or take a break. Laziness is out of the question. According to this inner critic, if you aren’t pushing yourself and striving for more, you are failing. This inner critic will do anything to undermine your self-confidence in an effort to stop you from taking any risks. The Underminer believes that playing it small is the safest place to be. Any attempt to rise, be visible, or simply be big is seen as a threat. This inner critic will do anything to prevent that from happening. This type of inner critic leaves you to believe that you are intrinsically flawed, that no matter what you do, you are innately not good enough. It will consistently attack your level of self-worth and stop you from accepting that you’re okay as you are. That leads to constantly seeking ways to ‘fix’ or improve yourself. The Guilt-Tripper brings up the past at any opportunity that it can. It will harbour resentments and is unable to forgive you or others for any difficult experiences that may have led to pain. It believes that in order to stop the past from repeating itself, it must remind you of it at all times. This type of inner critic will try to get you to conform to your family or to societies standards so that you will be admired and loved. If you step slightly out of line, it will speak up so that you don’t “rock the boat.” If you’re not conforming, it thinks you’re at risk of being rejected. As harsh as these inner critics sound, they are all trying to protect you from a perceived emotional threat. To quieten any type of inner critic, the starting point is to identify what the perceived threat is and why you need to protect yourself from it. Are you afraid of rejection, of failing, of being judged or not being good enough? Whatever your fear is, remember that FEAR is: False, Evidence, Appearing, Real. Worrying about what might happen, especially if it’s outside your control. Will not prevent it or protect you emotionally. Once you recognise this, you can challenge your inner critic with evidence or not engage with it, as if it was a backseat driver!